I read this article and found it very interesting, thought it might be something for you. The article is called Conditional Cash Transfer Improves Maternal, Infant Health Care In Odisha: New Study and is located at https://archive.indiaspend.com/cover-story/conditional-cash-transfer-improves-maternal-infant-health-care-in-odisha-new-study-35994. 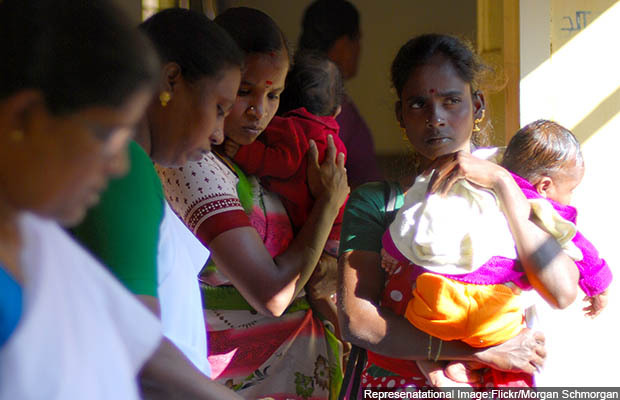 There was a 5-percentage-point increase in the possibility of receiving antenatal services–such as full body check ups, blood tests, information about baby’s position and health–due to the Mamata Scheme, a conditional cash transfer programme of Rs 5,000 over four installments to pregnant and lactating women in Odisha. The beneficiaries of the scheme, launched in 2011, were more likely to adhere to the specified conditions–especially during the pregnancy–and increased pregnancy registrations, according to this 2017 study of the scheme by Partnerships and Opportunities to strengthen and Harmonise Actions for Nutrition in India (POSHAN), an advocacy. A 10-percentage-point increase in the possibility of receiving iron and folic acid tablets to prevent and treat anaemia among women was also noticed, the study said. As many as 60% women across 1,161 households in three districts were enrolled in the scheme and 90% enrolled mothers had received the money, the POSHAN study found. The scheme pays the money in four instalments: First after the second trimester, and the remaining at three, six and nine months after the delivery. Odisha has reported the highest point decrease–56–in infant mortality rate (IMR), deaths under one year of age per 1,000 live births, nationwide since 2000. The IMR has fallen to 40 in Odisha, lower than the national average of 41. A child’s nutritional level is directly proportional to the mother’s income and quality of child care received, according to this World Bank study on Gender and Development. On the contrary, no such impact is seen by the increase in paternal income. Women have a larger propensity to spend on family needs and child nutrition than men, the World Bank study said. The Mamata Scheme has also positively affected the food security of households and led to positive impacts on adherence to conditions related to health and nutrition of the child, the Poshan study found. I find it an extremely important finding, and I believe will act as a credible source of literature while shaping public policy (health policy ). But we need more literature to establish this fact. Conditional cash transfer of Telangana govenment is a success. 80% deliveries in Bhadradri dist in Telangana has happened in government hospitals due to cash transfers. Rs 12,000 or Rs 15,000 is given for male or female child.